Expect about another 500 vehicles on road. Vehicle carrier Dream Orchid arrives into the country tomorrow with 500 items for Suva on board says local shipping agent Campbell’s Shipping Limited spokesman Anare Keni. “Dream Orchid will be arriving on August 2 (tomorrow) and will be off loading vehicles at Suva Port,” Mr Keni said. “The vehicle carrier will offload vehicles, heavy machinery and spare parts,” he said. Mr Keni said items were loaded from Auckland, Brisbane, Japan and China. He did not confirm whether the cars are brand new or second hand. The vessel was in China on July 8, Japan at Osaka on July 11 and then Yokohama on July 13. It was then at Brisbane in Australia on July 25, then to Auckland in New Zealand on July 29 before arriving in Suva on August 2. “The total number of units to be discharged in Suva is over 500 units,” he said. The number of crew on board is 20. The estimated time of arrival (ETA) at Suva Port is around 17:00 tomorrow. The vessel is registered Panama and is 186.3 in length. 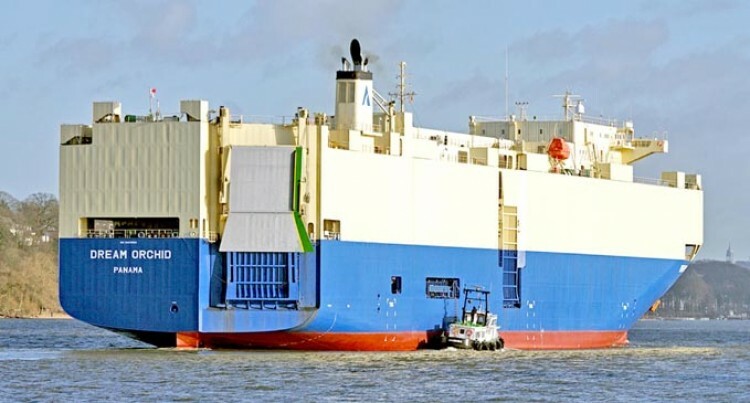 Early last month another Japanese vehicle carrier vessel, Frontier Ace had brought in cars which consisted of brand new vehicles and second hand ones. In a statement Land Transport Authority said vehicles imported from other countries should meet the 4 emission standards. “All vehicles must be Euro 4 emission stand­ards otherwise they are not allowed into the country,” an LTA statement stated. “LTA inspections are done for smoke emis­sions using the 10 second rule while equip­ment are tested using opacity meters. Second hand vehicles imported from Japan are subject to pre-import appraisal inspec­tion by LTA. Japan Export Vehicle Inspection Center (JEVIC) is a pre-shipment vehicle in­spection agency established in 2001. All second hand vehicles from Japan are JEVIC tested prior to their shipment out of Japan. Meanwhile 5973 second vehicles have been imported into Fiji since August 15, 201. 15 vehicles were rejected because they did not comply with LTA requirements during the period. The fuel types of vehicles imported includes unleaded, diesel and LPG electric/petrol, electric/diesel, petrol hybrids or fully electric vehicles.